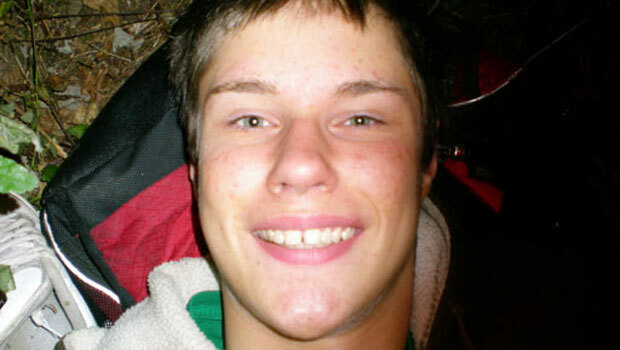 (CBS) - The agreement by Colton Harris-Moore, the infamous Barefoot Bandit, to sell his life story to 20th Century Fox movie studio for $1.3 million - money that will go directly to the victims of his crimes - sounds like a fair deal for all involved. But don't tell that to Pam Kohler, mother of the young man who stole five planes and became an internet sensation. "I don't like it," Kohler told the CBS News broadcast "48 Hours Mystery." She added, "I think Colt should get something." That will not happen, according to Harris-Moore and his lawyer John Henry Browne, who said Harris-Moore will not get a penny of the movie money. Harris-Moore made headlines throughout the world by teaching himself how to fly as a teenager; he then stole and crash-landed five single-engine planes without injury. His eluded authorities for two years but his crime spree ultimately came to an end when he was captured after a high-speed nighttime boat chase in the Bahamas on July 11, 2010. Kohler, in an early morning phone call with "48 Hours Mystery," said she has not seen her son for three years, although she said the two sometimes talk on the phone and correspond by email. Kohler also claims that Browne will not allow her to visit Harris-Moore, who has been incarcerated for more than a year now. The mother and son had a troubled relationship but Kohler maintains the two have always been close. She believes that Browne is keeping her away for fears that she might "influence" her son. "I am not keeping her from Colt," Browne said. "He does not want to see her." Kohler said she does plan on going to court when Harris-Moore is sentenced in October. He has pleaded guilty to a variety of federal charges and faces between 7 to 10 years in prison. He could receive even more time on state charges. Kohler had at one point last year engaged her own entertainment lawyer to field offers to sell her version of Harris-Moore's life story but no deal ever materialized. In light of Harris-Moore's just announced contract with 20th Century Fox, it would seem the window for Kohler to make her own deal has closed or narrowed significantly. Kohler, however, said she is writing her own book. She also claimed to have a copy of the restitution agreement between her son and the court that she believes was sent to her by mistake. She said she also planned to go on a local radio show in Seattle today to announce that she is selling that agreement to "the highest bidder." Meanwhile, the money from the movie deal will be distributed among Harris-Moore's many victims. This includes at least one restaurant owner who is no longer in business due to the fact that Harris-Moore stole $18,000 from her safe. That restaurant, Vern's in Eastsound on Orcas Island, was for years owned and operated by Marion Rathbone and her mother. It was a mainstay of the resort island but today there is a handwritten sign on the door saying that it has closed for reasons beyond the owner's control with a plea for someone to step up and re-open the iconic restaurant. Rathbone had been a severe critic of Harris-Moore, telling everyone that he was no hero and that he had stolen and hurt the "little people," like her. Rathbone was especially angry that the internet had helped make Harris-Moore a folk hero. Maybe Harris-Moore heard what Rathbone said because he reportedly insisted that the first check of that $1.3 million go to Rathbone to repay the $18,000 he had stolen. Right behind Rathbone are a host of other victims of his property crimes, many of them on Orcas Island or Camano Island where Harris-Moore was born and raised. His other victims, including the owners of the five airplanes he stole, are scattered across the United States, Canada, and the Bahamas. It's always been something of a mystery as to what Harris-Moore did with all the cash he stole, both from Rathbone and others. His lawyer John Henry Browne yesterday revealed to "48 Hours Mystery" that Harris-Moore threw all the money into the Bahamian waters just before his capture. No one has ever reported finding it. Watch 48 HOURS | MYSTERY "Chasing the Barefoot Bandit"